It is not only with the diesel engine, oil change is necessary for all sort of automobiles to keep the engine and its different components secure and in good working shape. Oil change is necessary for so many reasons. Here in this article we are providing you with two most important points which will show you why diesel oil change is necessary. Oil protects the engine and its different parts from irreparable damage. The main purpose of oil in the engine is to lubricate the engine and different parts. This lubrication stops the parts from overheating and ensures the smooth working of the parts without friction. Once level gets low or it becomes thin, it will not able to lubricate the parts well. Friction will produce and further heats up the engine and its parts. It may results in engine seize or broken parts – a severe damage. Frequency of oil change varies from vehicle to vehicle, as in a gas powered vehicle, oil change is recommended after every 3000 miles. This frequency of oil change is different in different vehicles powered by diesel engine. 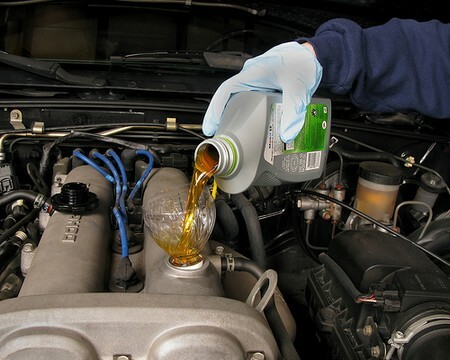 Synthetic oil is used in diesel engines and the oil change is usually required after every 7500 miles or 100 working hours.